Do you love working on cars? Are you looking for a new job where you don't have to sell un-needed parts and repair work to your customers? Do you want to work Monday through Friday and get weekends off? Do you want to be part of a team that works on all makes and models of cars with the best training, parts and equipment around? 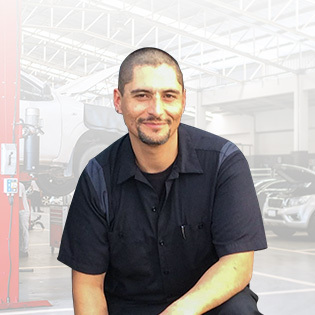 If you are an auto tech that is competent in diagnostics, we want to meet you. K-Tech Automotive opened in Sebastopol in 2009; the business has grown with our well organized system. We are looking for a technician to join our team. We are successful because we are "do-gooders" and we are renegades. Email us your resume at [email protected] or call to set up an interview. There is a future here, and you can be a part of it! "Thanks Kate for everything you do. I love working for you because you value me as a person, and not just a number. You bring me up and don't focus on the negativity. You make me a better person." "Seriously Kate, thank you so much for everything. I feel very fortunate and privileged to have an amazing, caring, friend and boss who is more than willing to help her employees build their careers and confidence. Thank you for all the positivity and faith you have in all of us as a family. It is truly appreciated." "I appreciate that we have an awesome manager. This place is amazing in any way you can think of and I love that the owner feeds us and doesn't micromanage."